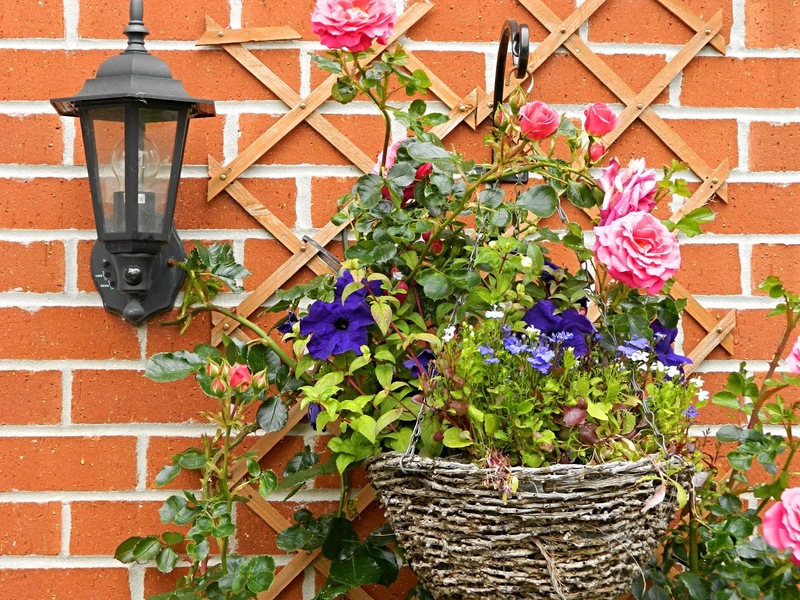 When viewing a property, one of the first things I notice is how light or dark it is. I think it's because it's something that's always been important to my mum - she's not fond of artificial lights, instead preferring to maximise natural light and this is something that must have rubbed off on me! Having said this, the type of properties I love can often lack natural light - I'm talking country cottages, log cabin-style homes and the alike. Many of them have wood beams and lower ceilings, which can have a negative impact on natural light but there are little things you can do to brighten them up and make a real difference to their overall feel, without spending a fortune. Although I'm really into deep blue shades and olive green interiors, if your room feels somewhat dark, it's best to avoid dark colours altogether. Instead choose light colours that will reflect any natural light coming through the windows. White paint and other pastel shades will also create the illusion of a larger living space. Back when we had the tearoom, we actually painted the black beams white and it made such a difference to the overall look of the room. The space felt much larger and the ceilings appeared higher. In the past we've also used the Light and Space paints from Dulux in the tearoom, Arthur's old nursery and some of our bedrooms. These paints contain light reflective particles and come in a range of beautiful colours, with one of my favourite shades being Lagoon Falls. I've not tried this myself yet but it's a known fact that mirrors can help to enhance the appearance of a room, by reflecting natural light and creating the illusion of more space. Place a large mirror opposite a window and it will look like you have more windows and therefore more natural light in a room. I really love the look of large vintage mirrors, you know the ones with the lavish gold frames that are a little OTT? They're a real statement piece and would look fantastic in all interiors from modern, to country and traditional. I'll be honest and say I'm not a big fan of curtains. I understand people have them for privacy and for decorative purposes but they're just not for me. I much prefer blinds but even still, tend to keep them pulled up to the top, to let in as much natural light as possible. 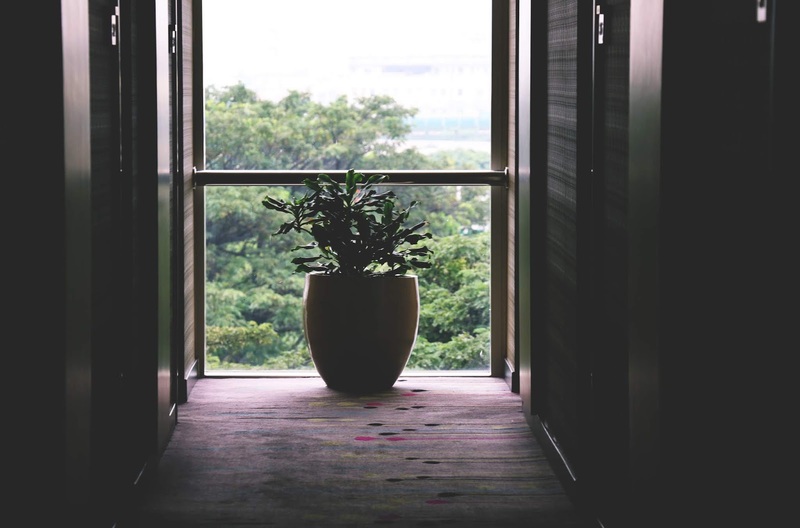 If you are looking for a way to improve natural light in your home, ditch the heavy window dressings. For privacy, opt for something like a venetian blind that will offer the best of both worlds. And if you have to go for curtains (I'm not judging I promise) then choose a sheer or light fabric. Placing large furniture near your windows can stop light from getting into the room. 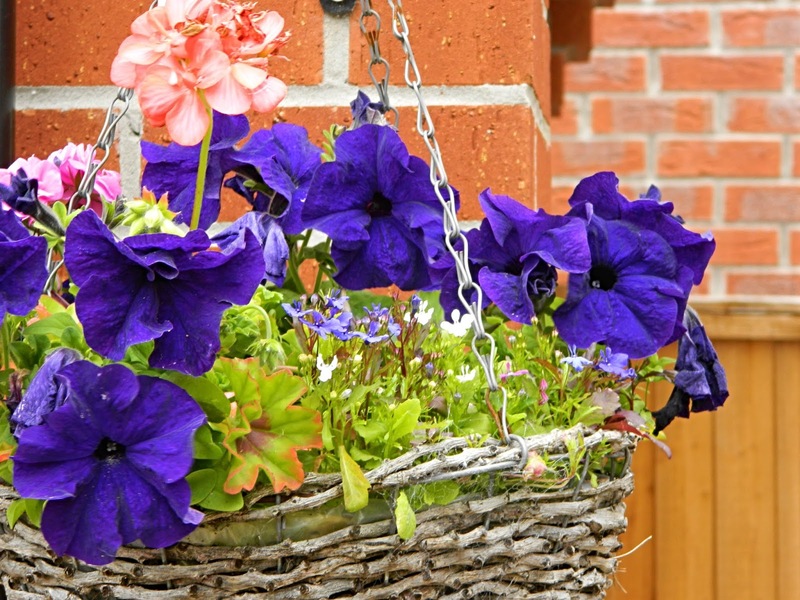 The same can be said for plants and bushes outside your home. 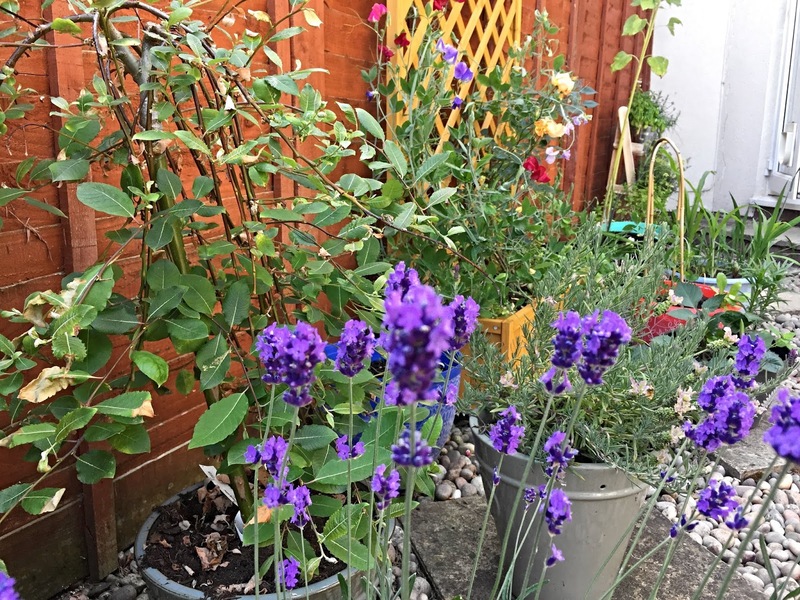 Whilst I'm not suggesting you get rid of your plants and trees altogether, it's worth spending time keeping them pruned and tidy so they aren't getting in the way of your windows. Do you have any tips to add? Feel free to share them in the comment section below! In my opinion, a weekend well spent is one that involves time outdoors. 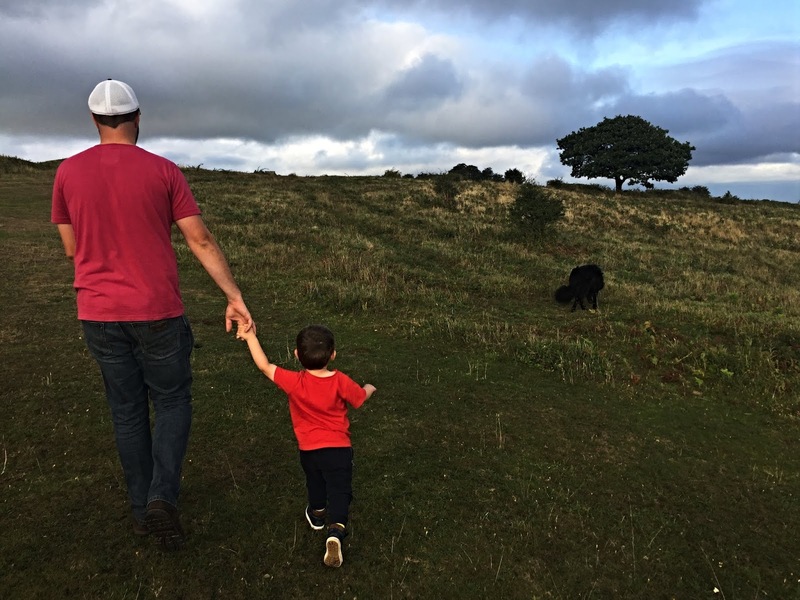 I love nothing more than heading out with my family for a walk, exploring new places and and appreciating the beautiful countryside around me. 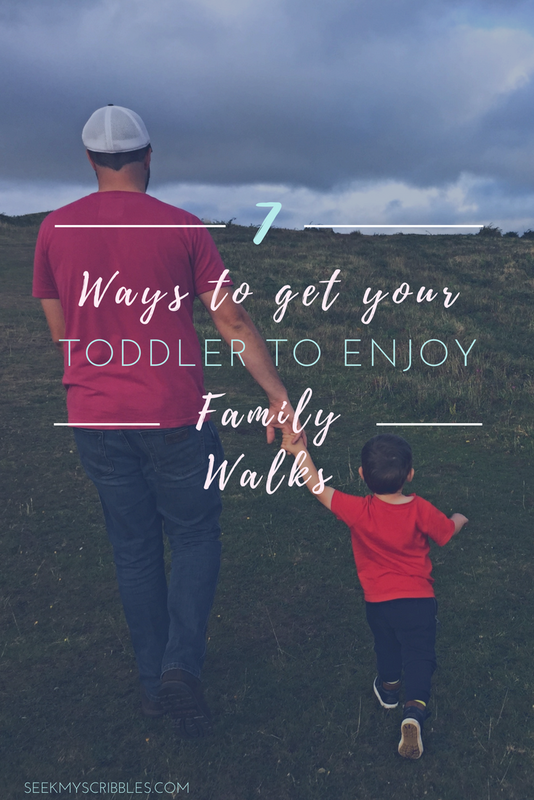 Instead of telling your toddler you're going out for a walk, tell them you're going on an adventure - it'll sound way more appealing and exciting! Is that a bear hiding behind the tree? Let's find him! Can you spot the dinosaur in the bushes? Shh be quiet, he'll hear you! Did you know the Nexo Knights are waiting for you at the castle? (Yep we've even done that one and then had to tell him they'd popped out for a bit and would hopefully see him at LegoLand next month. But he walked all the way and was a happy boy!) Make the walk exciting by telling a story or creating a character. Toddlers and young children have wild imaginations so use that to your advantage. Food bribes are always a winner! If it's a sunny day, pack a picnic to have half way round on your walk or if it's a shorter stroll, at the end. If the weather is looking a little uncertain, take snacks they can eat on the walk. We love finding new places to go for walks. It makes it far more interesting for both us and for Arthur! It's far more of an adventure, if you don't really know where you're going or what you're going to find. 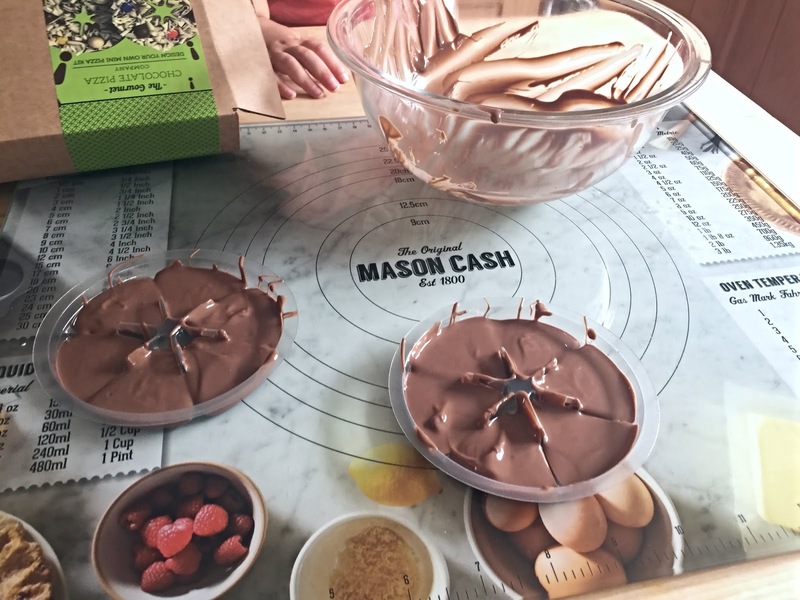 Treasure hunts are a great way to get kids interested in walking and being outdoors. 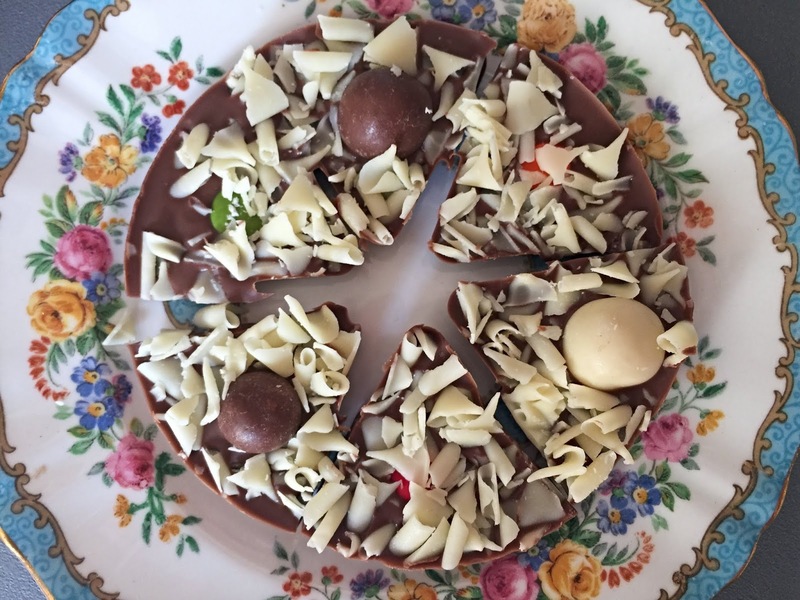 At Easter we kept re-hiding two chocolate eggs that we bought out with us on our walk and Arthur had so much fun. One of us would run ahead and hide the egg, he'd find it, we'd put it back in our pocket to 'keep it safe' and then go and re-hide it again. It kept him entertained and he loved it so much, he still talks about it now! In our village, people have started painting and hiding rocks. 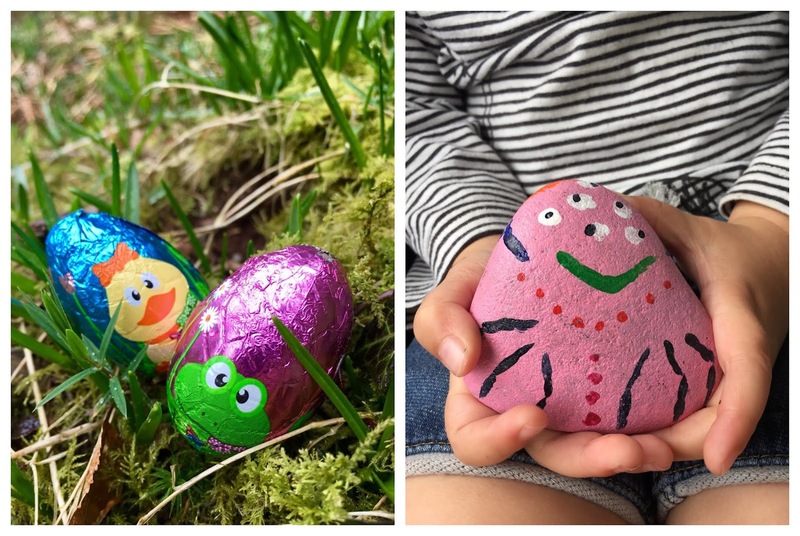 We have a Facebook group so parents can take a picture of the rocks their children find and then you're supposed to re-hide them for the next children to find. It's lovely for the kids and great for encouraging them to get outdoors for a walk. I know loads of other places in the UK are doing this too! It's really interesting seeing where some of the rocks end up. I know one from our village has already made it to London! I can't speak for all children but I know many toddlers LOVE water. Rainy day walks are great for muddy puddle jumping - just don't forget their wellies! Or if it's a hotter day, why not head to the beach for a walk or choose a route where there is a little lake or river they can paddle in? And my final tip is not to make your family walk too long! Remember, they've only got little legs so unless you're happy to carry them or push them in their buggy, you're not gonna be able to spend hours and hours walking. What are your top tips for getting the kids to enjoy walks? Is it something you like to do as a family? 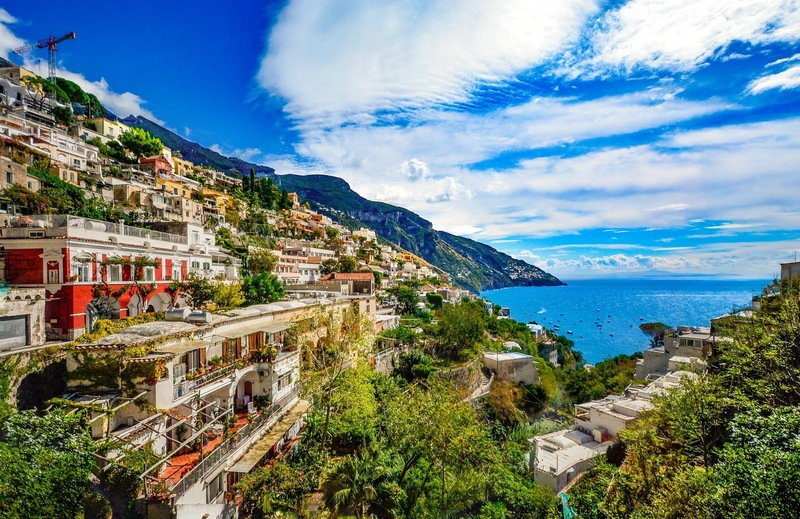 When I think of romantic getaways abroad, the first place that springs to mind is Italy. It's language is known as the language of love, it's steeped in rich history and it boasts some of the most beautiful landscapes in the world, what more could you want from a romantic trip away? Oh and not forgetting the food a because let's face it, if anyone knows how to do amazing food, it's the Italians! One of the Italian destinations on my 'to visit one day' wish list is Venice. 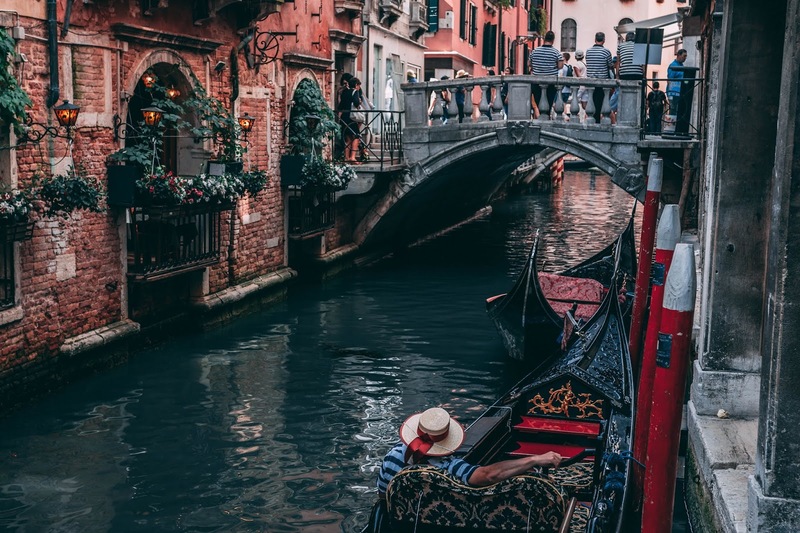 I know it's a bit of a cliché but I've always wanted to enjoy a relaxing Gondola ride down the narrow canals and be taken back in time. I imagine it looks stunning in the evenings and can already picture myself sat outside with a glass of wine in hand, my love by my side, watching the beautiful lights reflecting on the water. I feel like it's definitely more of a destination for couples than families as I can't imagine a Gondola ride with a toddler-in-tow being wildly romantic (wild definitely, romantic not so much) so it's perhaps somewhere we'll visit when Arthur's a little older! 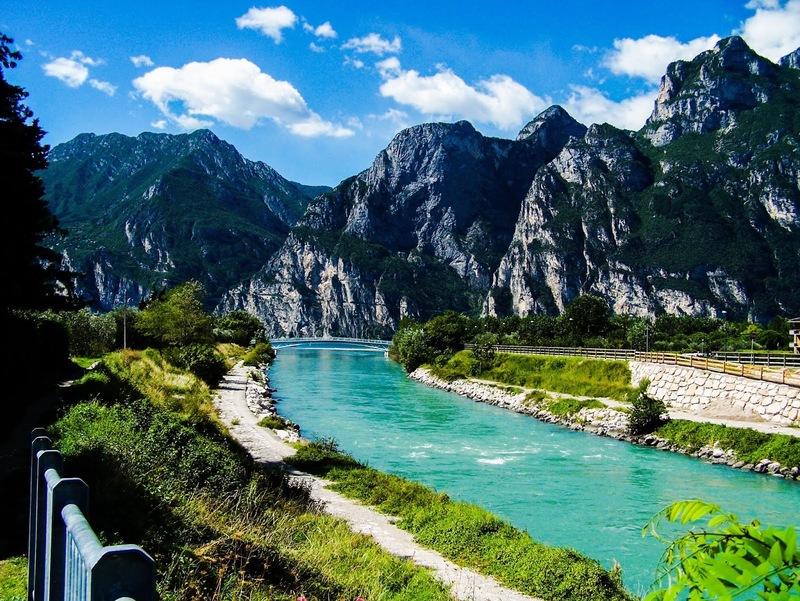 Somewhere else I'd love to visit is Lake Garda. I've actually stayed in Lake Garda with my family before but I can't remember a whole lot of it, as I was much younger. I do remember having the best pizzas ever at the local restaurants and enjoying the hot, mediterranean climate. I'd really love to go back and witness the striking mountains and crystal clear lake as an adult. I feel like I'd truly appreciate all it has to offer now. 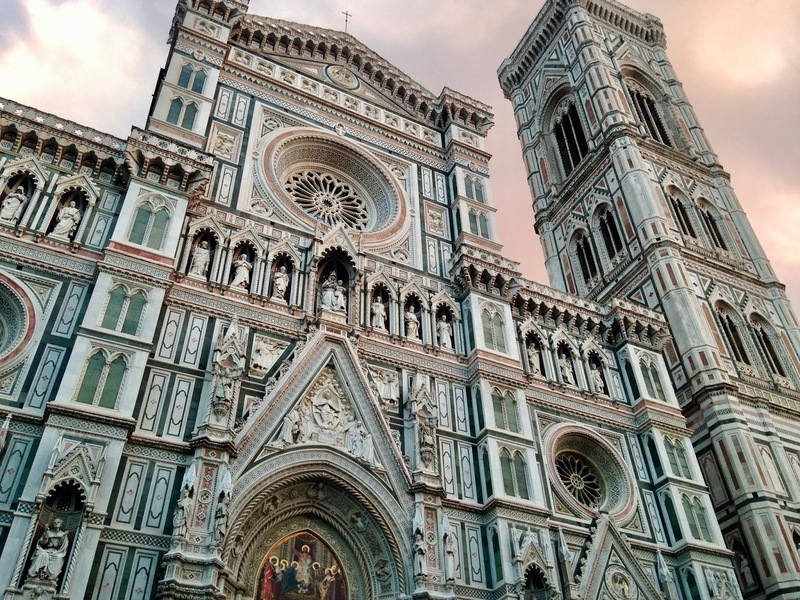 Florence is the home of the Renaissance and often regarded as one of the most beautiful cities in the world, so what better place to head to for a romantic getaway? I'd love to see the Duomo and take a look around some of the galleries and museums. I can imagine my other half being fascinated with the architecture! Of course, this isn't my finalised list, I'd love to visit the Sistine Chapel in Rome, drive along the Amalfi Coast, stand on Juliet's Balcony in Verona and stay in a Trullo in Puglia. There are so many places I'd love to visit in Italy, if we get chance one day. I think it ticks all of the boxes as a romantic holiday destination and can truly see why it's one of the top choices for honeymooners too! 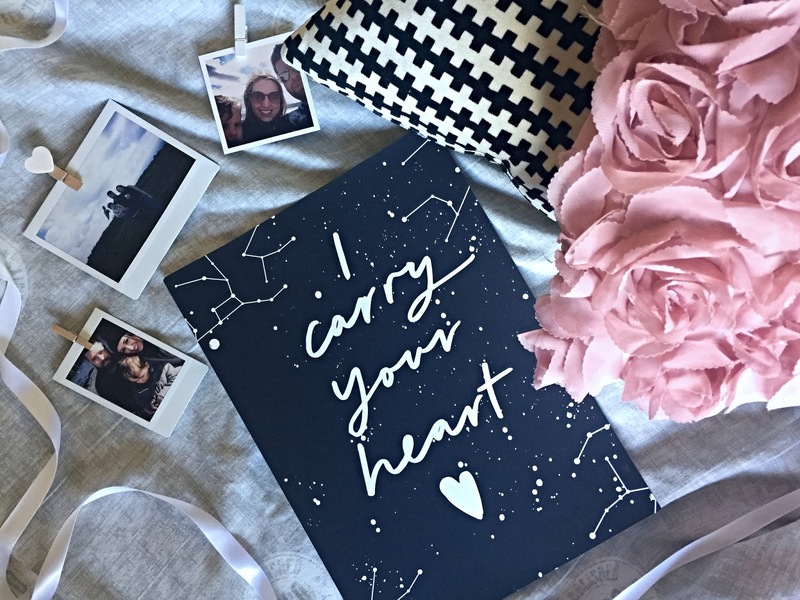 For more romantic getaway ideas, be sure to check out Holidays by Destination2, who I have collaborated with for this post. Where would you love to visit on a dreamy romantic getaway? Moving in with your partner? Have different tastes in decor? Worried about all the arguments you're going to have? Don't be. The answer is simple - find a way to blend your styles. After all, a home does not have to have one particular theme and in my personal opinion, should reflect and represent all those living there. Although I've not yet moved in with my partner, it's something we're talking about and have already had several discussions about our future home's decor. For the most part, we seem to agree on what we like - rustic and cosy, with hints of both modern and traditional elements. We also want to upcycle furniture wherever possible to keep costs down and add character to our home. But there are things that we're bound to disagree on - after all, he's a country boy through-and-through, complete with several sets of antlers above his bed and I'm a girl who likes a bit of marble and copper. We're different in many ways but that's partly what makes us work. I don't think couples have to like all the same things (it'd be pretty boring), the main thing is that you share the same values and want similar things out of life. 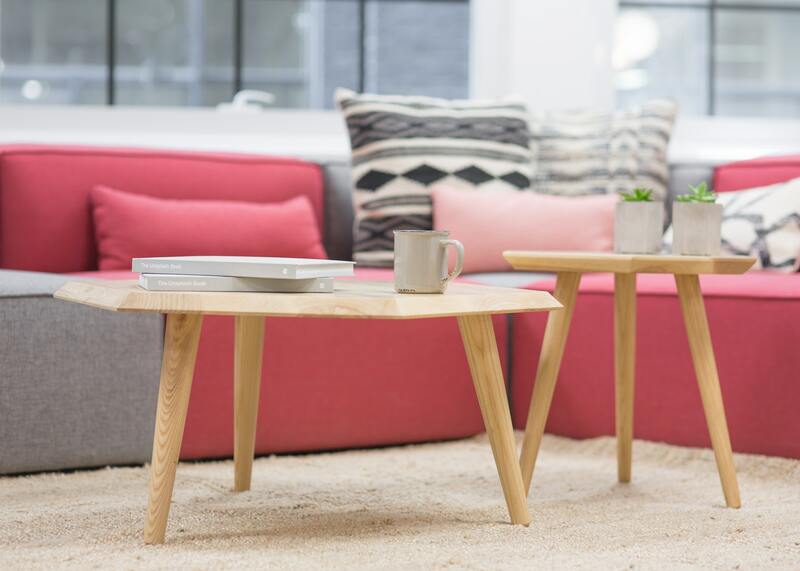 There are so many ways you can blend interior design ideas when your partner has different tastes to you, so don't let the thought of it fill you with dread. Talk about your ideas openly, be willing to listen to theirs and together you will create something truly unique and representative of you as a family. If you're moving in together and creating a family home, it's important that you both love the space you live in. Big decisions, like the colour of your walls or key pieces of furniture in your bedroom or living room, should be made together. Having said this, don't be afraid to make suggestions, even if you're not sure they're your partner's cup of tea - you never know, they might surprise you! For example, my other half suggested terracotta for our future kitchen and I initially pulled a face but then once I'd thought about it and done a little Pinterest research (as you do), I actually thought it could look pretty cool. Interior designers often use something known as the '80 / 20 rule' to blend different decor ideas. Basically, 80% of the room should be one style and 20% can be your accent style. This supposedly helps you achieve the best balance, rather than splitting 50 / 50, which could leave your room looking a little jumbled. Of course, you'll have to decide which style is the main one for your room and which is the accent. I think for this you really need to think about what suits the actual room best and what will allow you to achieve the overall feel you want. Consider what you need to get out of the room and its level of practicality. Lighting is a great way to add a contemporary accent to an otherwise traditional or rustic interior. 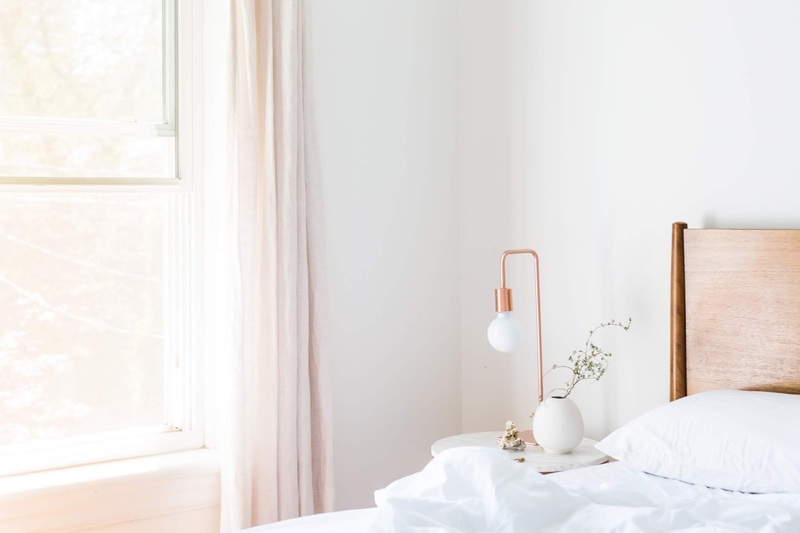 I really love minimalist bulb pendant lights, copper floor lamps and geometric copper lamp shades and think they look great in more traditionally-styled rooms. A great way to brainstorm some ideas and get an idea of how each other's tastes can work together is to use a site like Pinterest. It's great for collecting ideas, gaining inspiration and working out how different styles can be blended. You can make a shared interior design board by inviting each other as contributors. Go through the pins together and talk about what you like and what you don't. When blending interior design ideas, it's important to keep size and scale in mind. Group similar sized items together to help achieve a more cohesive look. 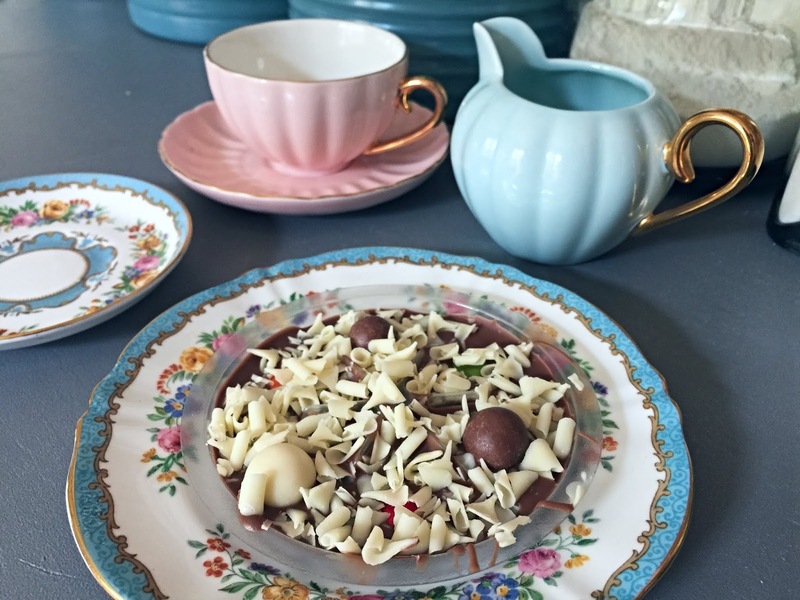 Small, dainty items could get lost amongst larger, bolder pieces. When creating displays, group items that have something in common together. They don't need to match or be the same, they could just be of a similar size or scale. Creating visual balance will also be important, if you are blending different interior designs. For example, in the bedroom, you may want different bedside tables. 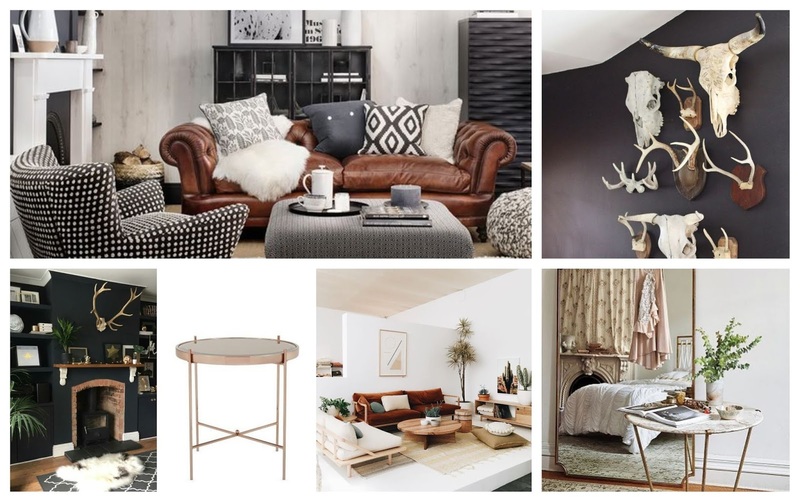 I would love something feminine and stylish, like the Felicity Lamp Table from Furnish Your Home, whereas, my other half would probably prefer something a little more rustic and masculine, like this refurbished trunk listed on ebay! There's no reason why this wouldn't work, it'd just be about choosing pieces of a similar size, possibly having matching bedside lamps and buying a bed that is perhaps a little more neutral and therefor complimentary to both styles. Having said this, I do have my eye on something like this Rosalind Bed, as I've always loved the look of beds with plush, padded, buttoned headboards. I think they have a really luxury feel, perfect for the bedroom! 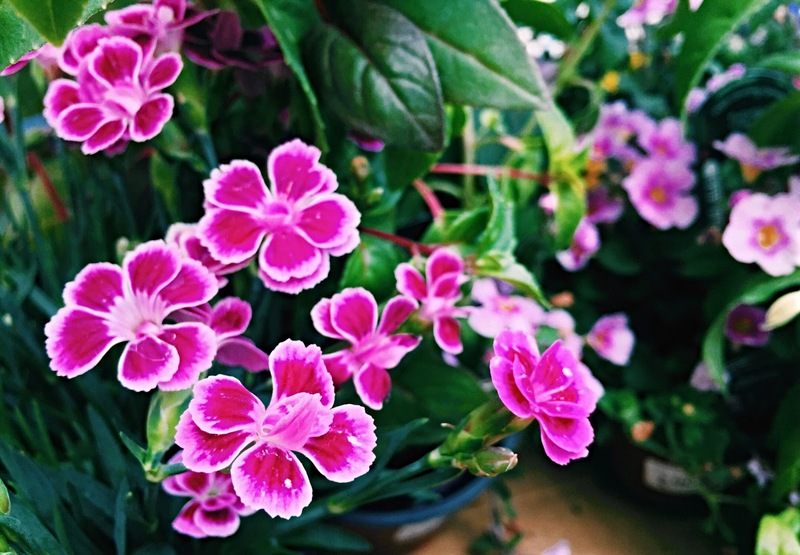 Although compromise is important and will definitely come into play on both sides when decorating a home, there will be some items that are that sentimental or important that they will be going in your home no matter what. For me, it's family photo frames. I know some people like a totally minimalist look or abstract artwork and that's cool but I think family pictures help to make a house a home and evoke so many memories. My other half definitely has more decorative pieces and ornaments than I do and I'm totally fine with the fact they'll be dotted around our future home because they'll give it character and reflect his personality too. Do you have any tips for blending interior design ideas when your partner has different tastes to you? I'd love to hear them, so comment below or tweet me @meganjane03! Let's start this off by saying I have a bit of a love-hate relationship with Play-Doh. 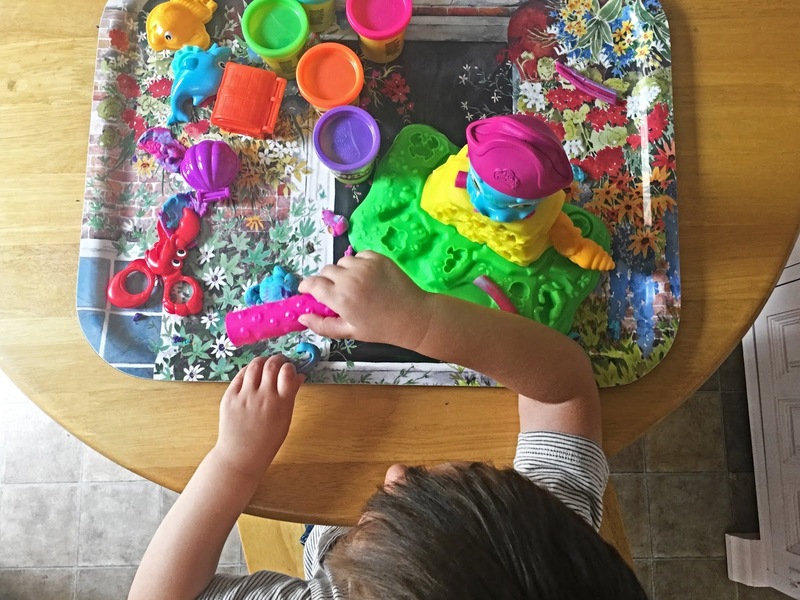 On one hand, I love the stuff; it has the nostalgia factor for me and it seems to keep Arthur entertained far longer than many of his other toys but on the other hand it can get pretty messy and grubby can't it? As I said, it's a real love-hate thing and I bet I'm not the only parent that feels that way? Of course, kids think Play-Doh is the best thing in the world and that's really all that matters. 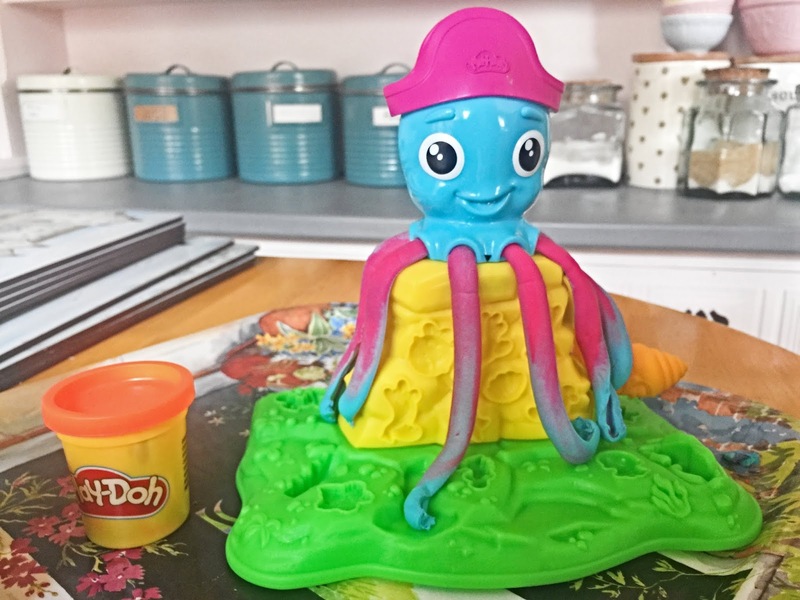 Arthur loves it so as a special treat I bought him the Cranky the Octopus Play-Doh set, currently on offer at Amazon for just £11.99. 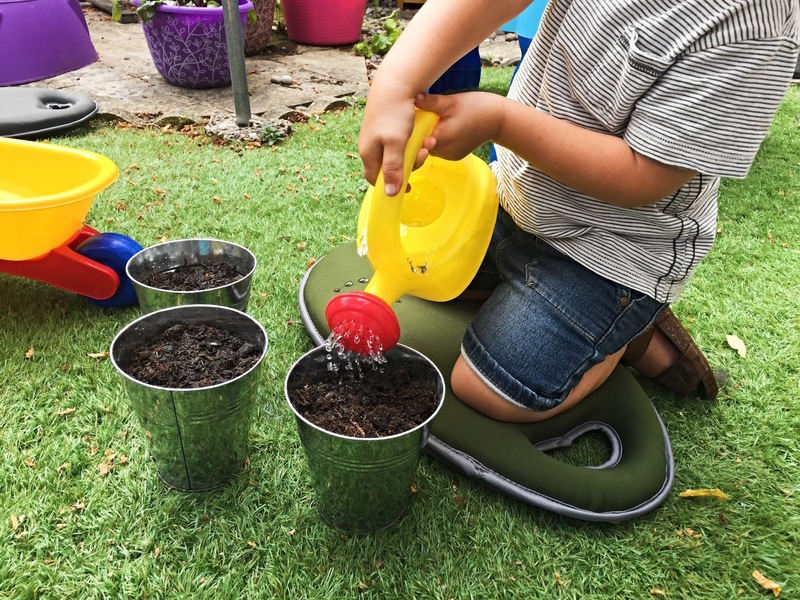 I don't tend to share many kids' toy reviews here on the blog but I think this is such a great set - one I'd highly recommend! Cranky the Octopus is really appealing to kids and has the fun factor. You pop your choice of Play-Doh inside, crank it up and it grows lovely long, colourful legs. Arthur was delighted when he realised what it did and wanted to do it again and again. Although he needs a little help setting it up at the moment, it won't be long before he's worked out how to do it all himself. 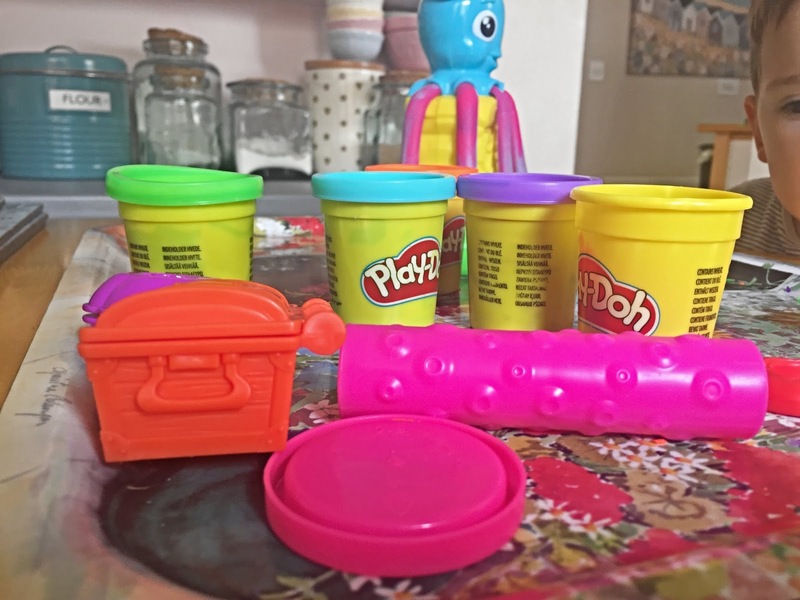 As well as the octopus, you also get 5 Play-Doh pots in a variety of colours and a selection of Play-Doh tools including moulds, scissors, a rolling pin and a cutting wheel. 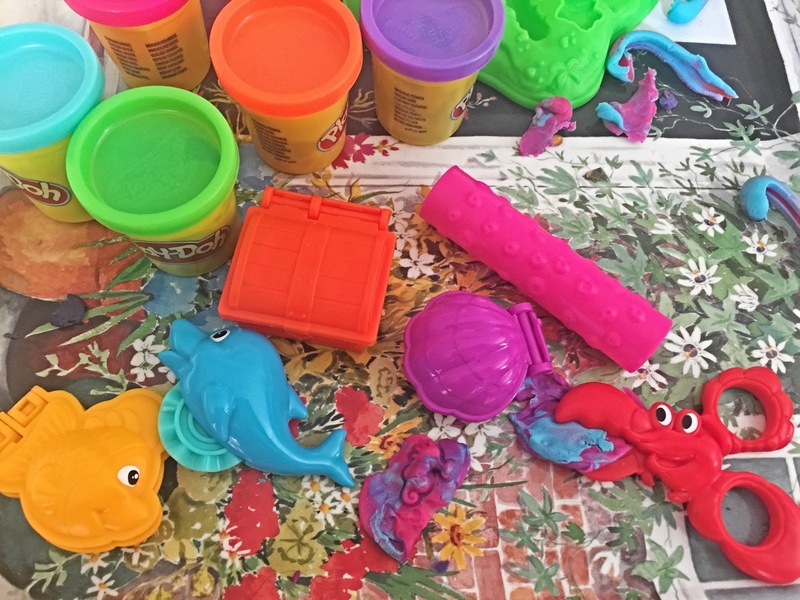 With these tools, kids can make lots of different sea creatures and have lots of fun cutting out different shapes. We particularly like the fish book mould, which you can make a cute little 3d goldfish with! I feel like it's the ideal set for kids Arthur's age (he turns 3 in October) as it allows them to get creative but isn't too complicated. It can still get a bit messy and grubby, 'cus it's Play-Doh and that's to be expected. I try and keep it on a tray and give the Octopus a little wipe, once Arthur's had enough. Putting the lids on the Play-Doh tubs is also a must to prevent it drying out. 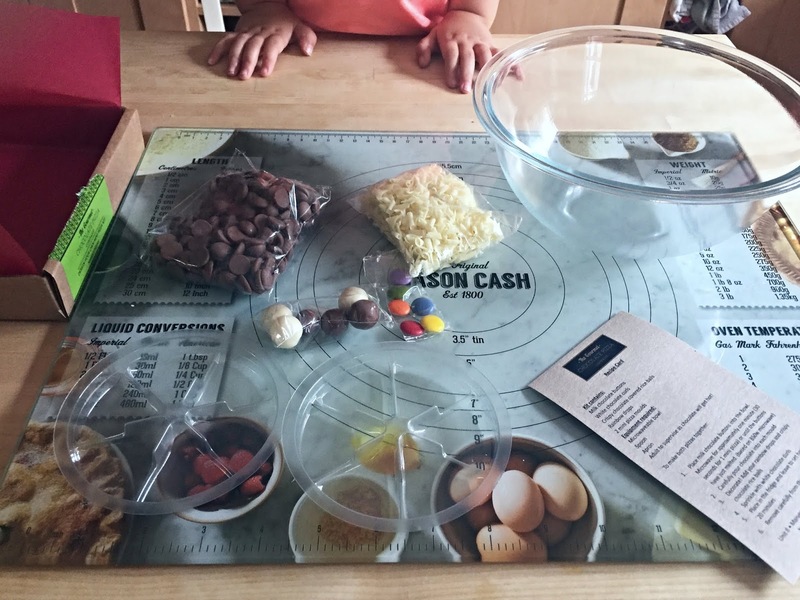 For £11.99 it's great value for money, especially considering the Play-Doh pots are included. It's also available on Amazon Prime, so if you are a member, it'll be delivered next day. 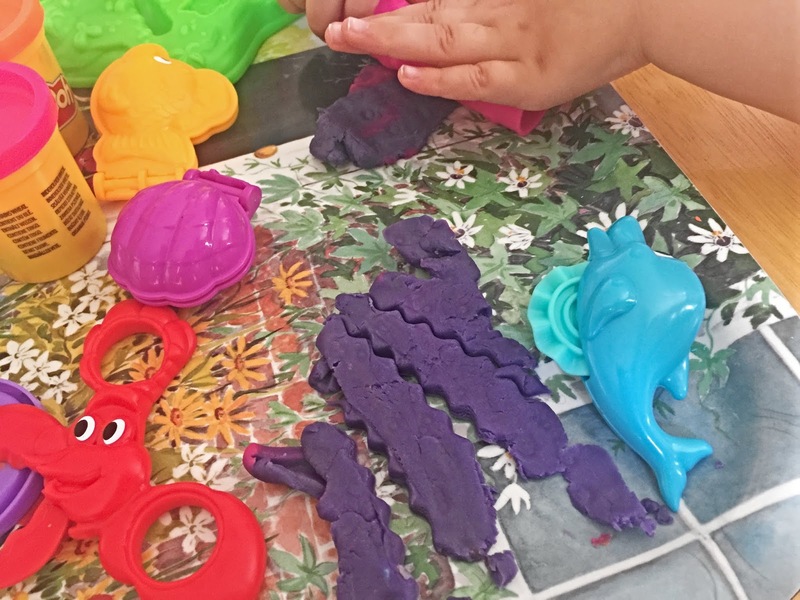 The Play-Doh Cranky the Octopus set would make a lovely gift, whether it's for your own child or one of their little friends' birthdays! Did you know that the number of young adults still living with their parents is at an all time high? Figures from the Office for National Statistics state that a quarter of people aged 20-34 still live at home and I am one of those people. 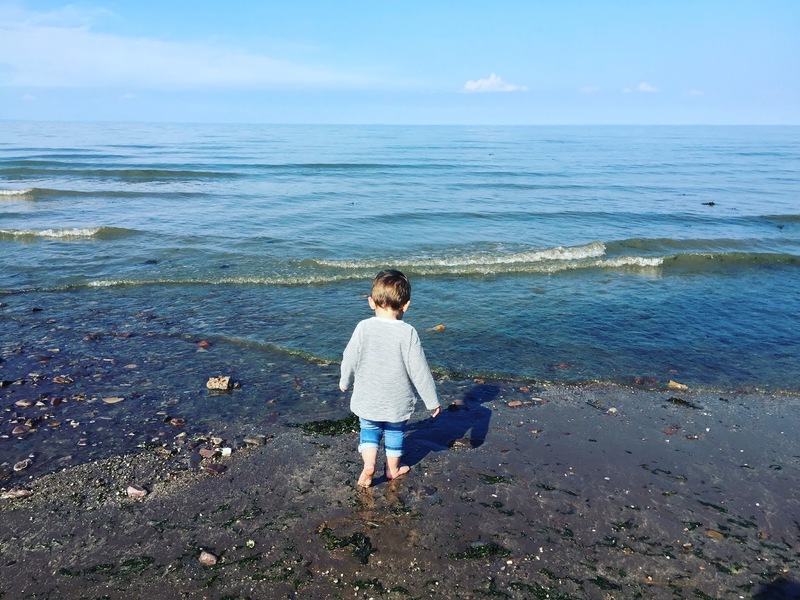 Yes, at the age of twenty seven (nearly twenty eight) I am still living with my mum and dad, along with my brother (who is actually moving out this weekend) and my gorgeous little boy. Of course in an ideal world I’d have had my own place but for several reasons, living at home has been the best option for us. 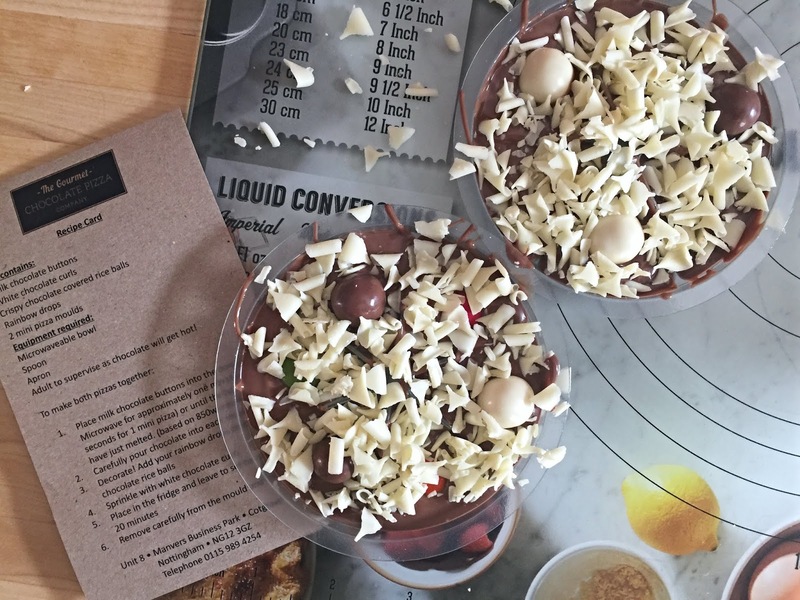 I'm very spoilt in the fact that my mum still does the majority of the food shopping for us all and although I help out with cooking meals for the family, I feel like meal planning in general is definitely something I take for granted! Having said this, I am really looking forward to having 'my own' kitchen in the future and actually love cooking...clearing up not so much! Living at home, I'm not in charge of organising the services we use and pay for. I don't have to worry about making sure we're on the cheapest energy tariff or why the water bill is more expensive than usual. This will all have to change once I have my own home. I better start picking up some tips and learn to budget a little better. I bet I'm not the only one who hasn't got a clue about their central heating system? We've never really had to worry if there's been a problem with our boiler because as a trained and qualified gas engineer, it's something my Dad has always been able to sort out! I imagine so many people take things like the maintenance of their appliances for granted when they live with parents, as it's something they just don't need to worry about until they live in their own home! My first thought for these things will always be better call Dad! Another thing I take for granted is that our family home has all the essentials (and we know exactly where to find them). When we move out, we'll have to buy these essentials. I'm talking everything from toilet roll and hand soap to a stocked up medicine box. 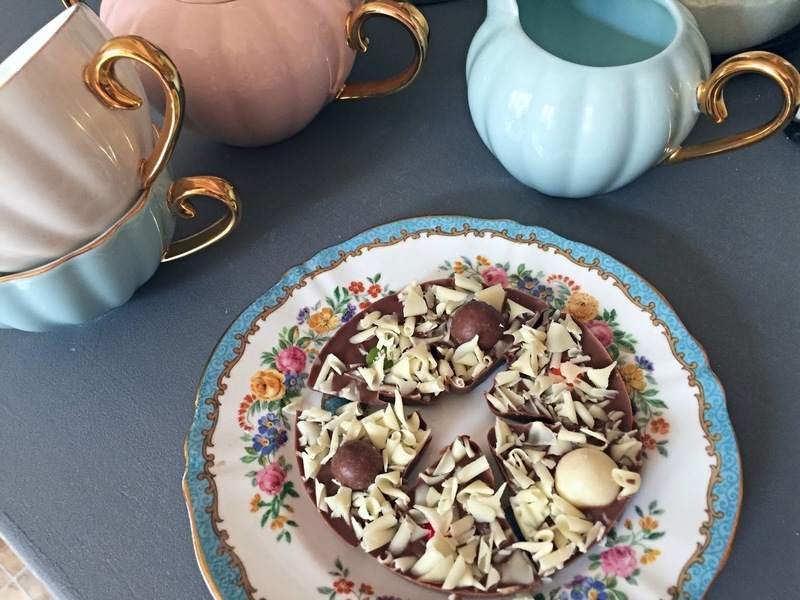 That first shop you do is bound to be so expensive, as you'll realise there's so many things your parents have been buying that you now need to buy for yourself! One of the things I'll definitely miss when I no longer live with my parents is the help, comfort and support I get from them every day with my wild (but very wonderful) toddler! Having lived with my parents since he was born, they've always been there to give me a helping hand when I've needed it and offer words of comfort and support when the tenth toddler tantrum of the day has really left me feeling beaten. I feel so grateful for everything they've done for me (and continue to do) and know I've had it far easier than most single parents. Obviously a lot of people won't be parents, living at home with their own parents but just think about some of the other ways your parents may provide comfort and support on a daily basis. They may drive you up the wall at times (I'm sure you do the same to them) but I bet you'll miss them when you move! Are you moving out of your parents soon? What do you think you'll find the hardest? 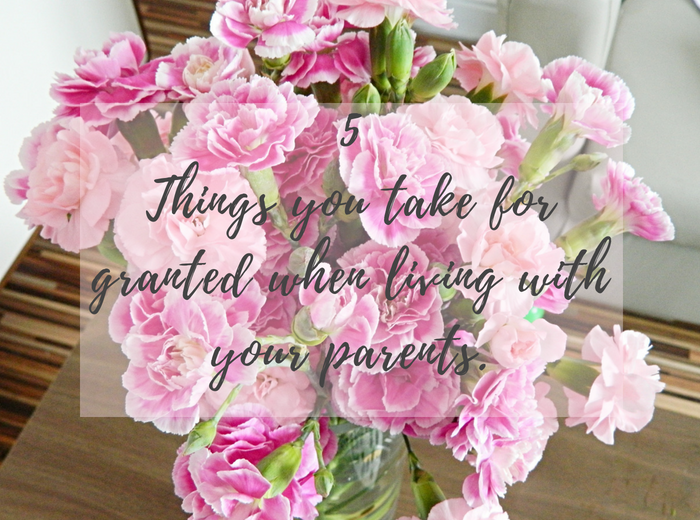 Or if you have already moved out, is there anything you realised you took for granted when living with the 'rents? Since having Arthur, I've spent so much more time outdoors. 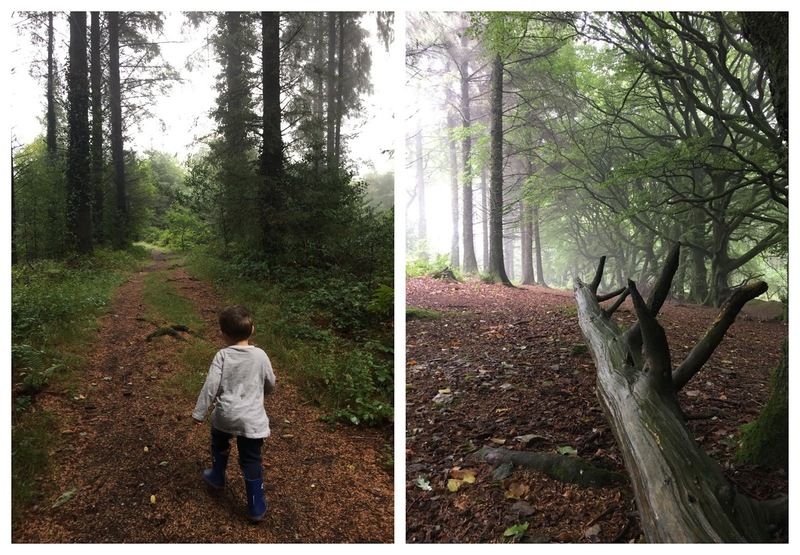 At the weekends, we're always out on little family adventures; exploring local woods or seeking out the perfect spot for a paddle and during the week we spend lots of time in the garden, playing ball games and getting a little green fingered! I have to admit, before having Arthur, I had little to no interest in gardening. 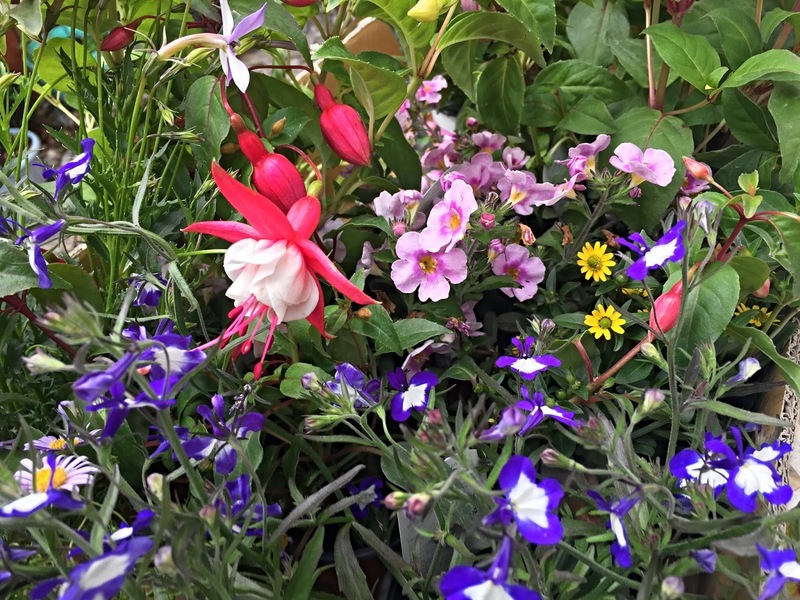 I've always loved beautiful plants and flowers (who doesn't) but gardening just wasn't my thing. 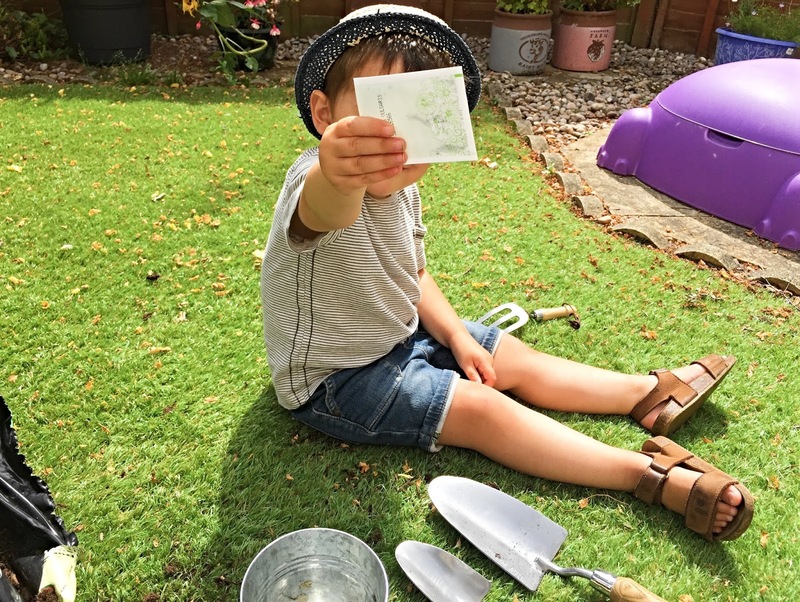 But in the last year or so, Arthur has really taken an interest in nature and I wanted to do everything I could to encourage this, so we've planted seeds together, we've talked about the jobs of bees, butterflies and other pollinators and we've done our very best to keep our plants growing healthily. I try and make sure he gets out in the garden most days and we've been really lucky recently that the weather has been so beautiful. The plants have needed a lot of water and it's a job Arthur's been more than happy to help with! 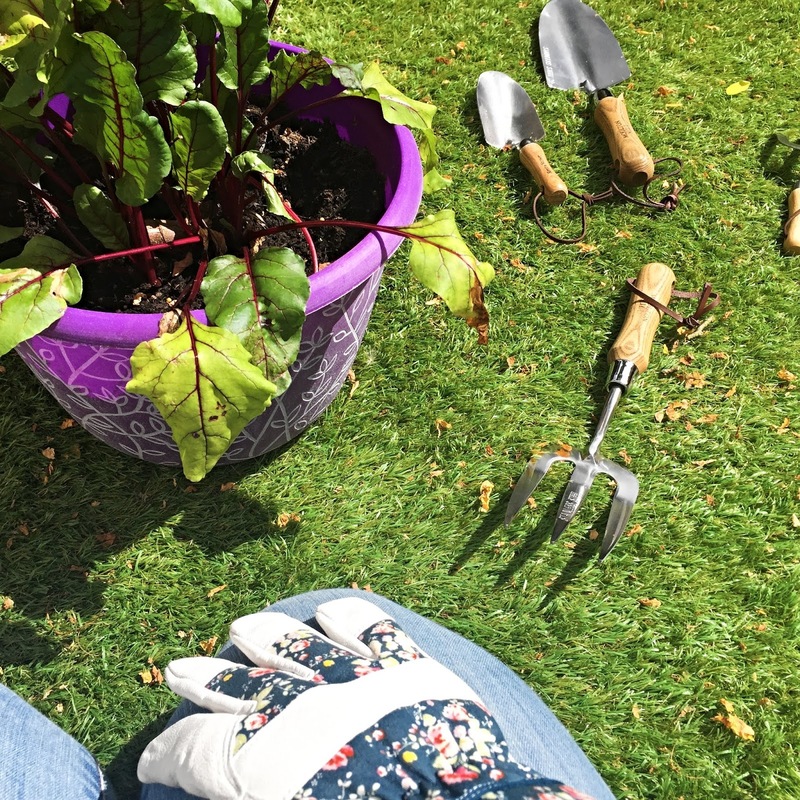 Dobbies Garden Centre recently launched a new campaign called #TakeTimeOutside, which is all about highlighting the ways you like to spend time in the garden. 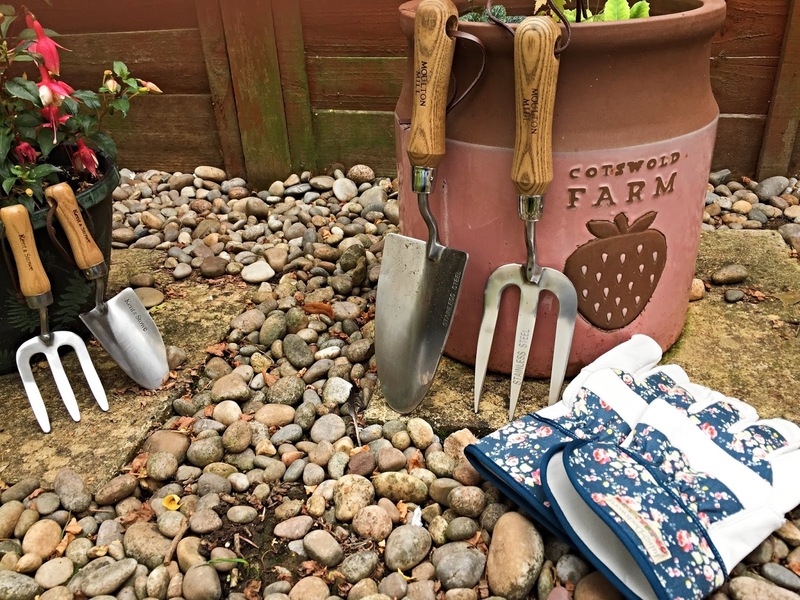 For some this might be alfresco dining in the evenings, enjoying a coffee and good book in the afternoon or like us - having a go at gardening! 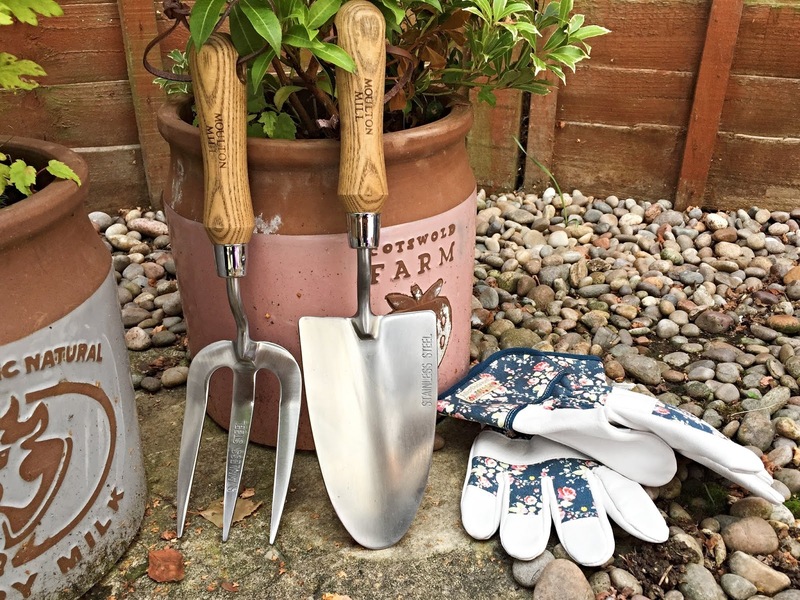 We were kindly sent a selection of gardening goodies so we can continue to #TakeTimeOutside together over the summer and keep our plants in tip top shape. 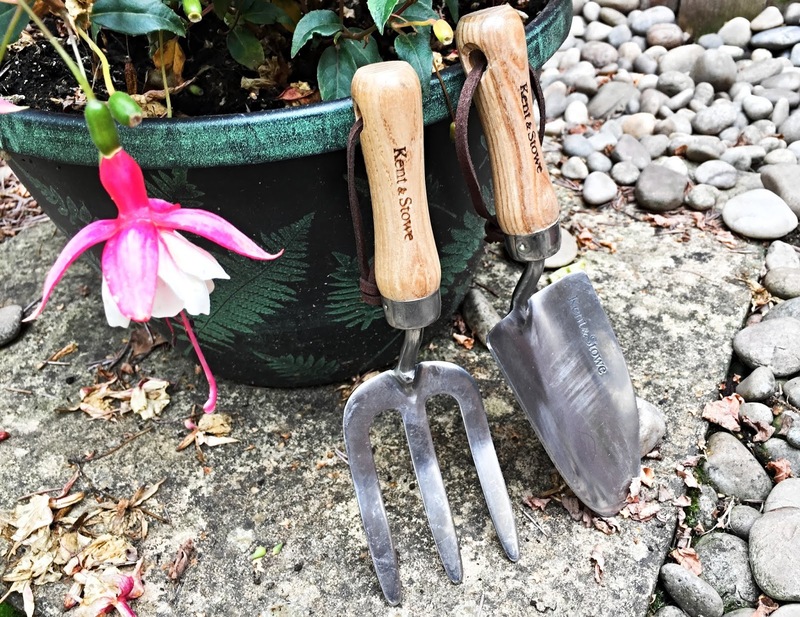 I personally think gardening is one of the best ways you can #TakeTimeOutside with kids. It's an enjoyable, educational experience that gets them comfortable with nature. 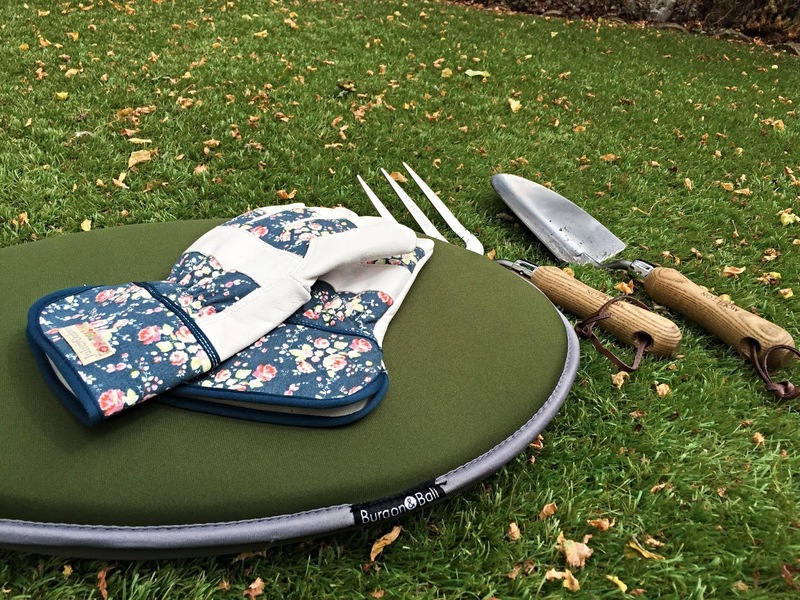 I'm hoping when we have a slightly bigger garden at a future house, we'll be able to have a go at growing more of our own food and I'll also be cooking with Arthur as he gets older, as I think it's one of those valuable life skills! 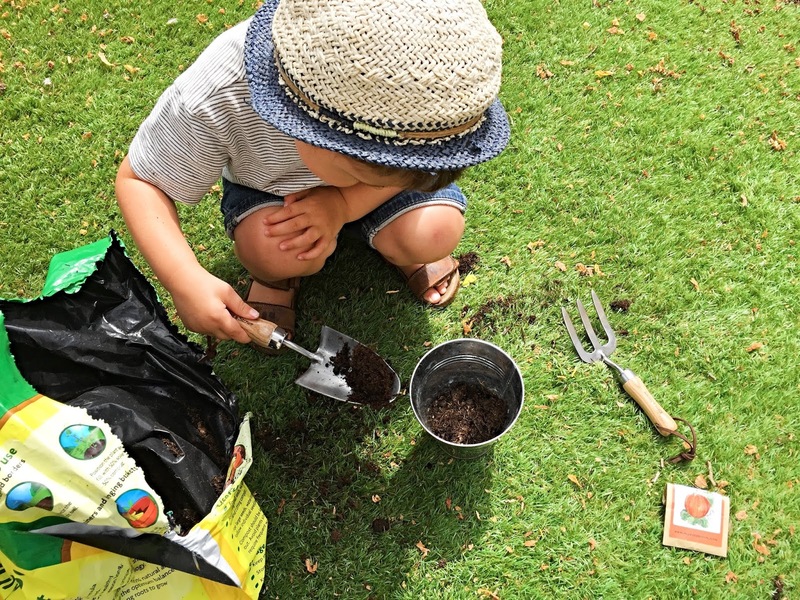 When it comes to gardening with toddlers, the key is to keep it fun. 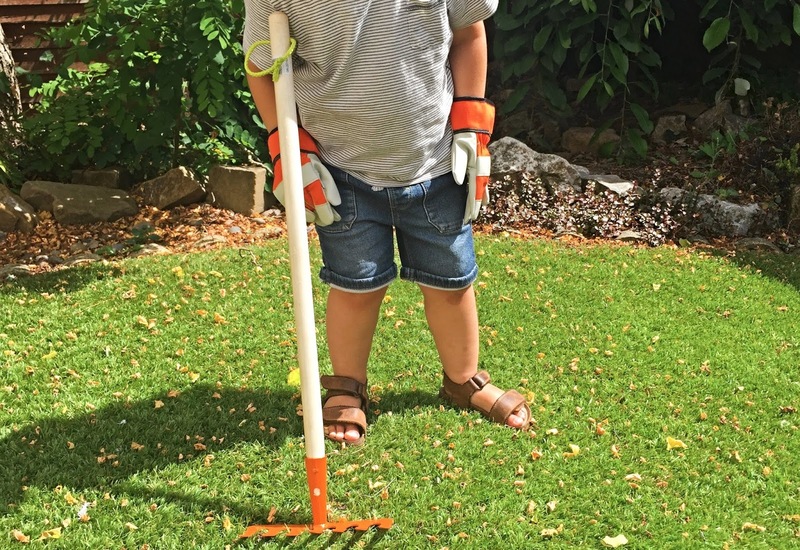 Make gardening tasks simple and tailor them to the age of your children. 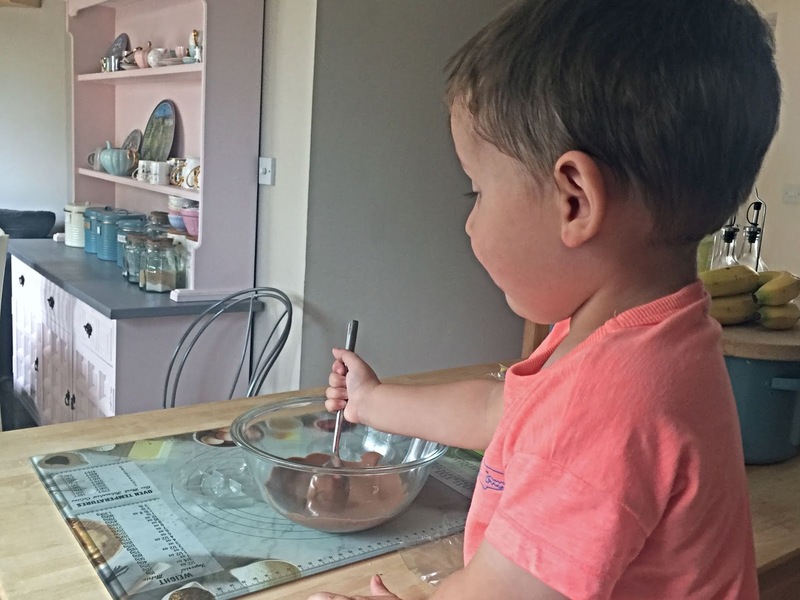 Don't expect them to want to spend too long on a single task and remember it's okay to get a little messy! I think the more laid back you are, the more fun you'll have together. 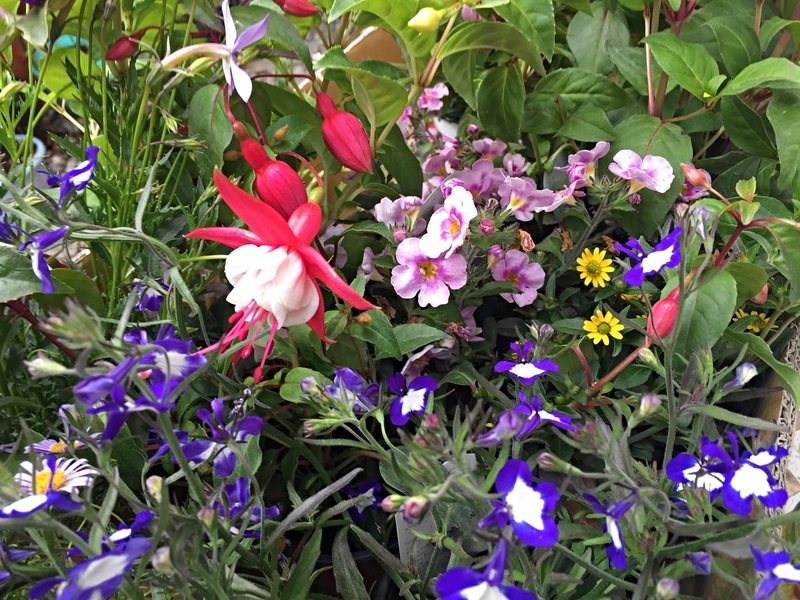 How do you like to spend time in your garden? Comment below or tweet me using the hashtag #TakeTimeOutside! When improving your home, there are lots of decisions to be made; with one of the most important being the flooring. 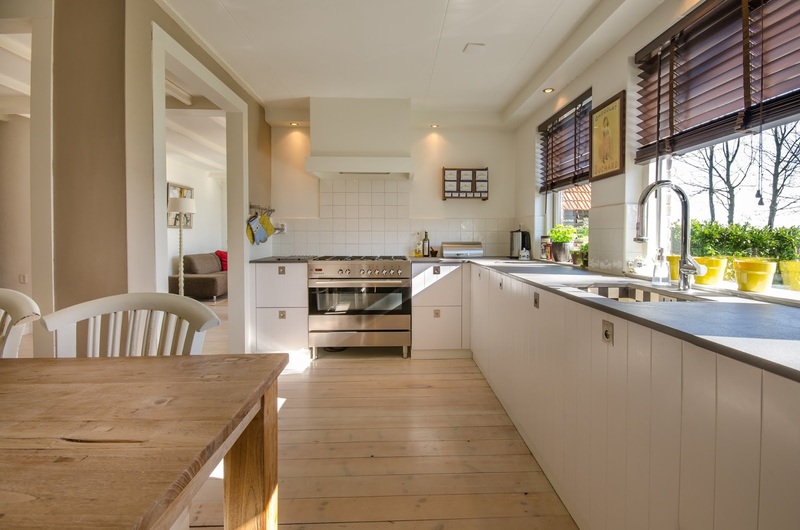 Today, there are various choices for flooring the rooms in your home; from laminate and solid wood flooring to Lino, tiles and of course, carpet. Although harder flooring has it's advantages, particularly if you have kids and pets, carpet is still a popular choice for homes because it offers something the other choices don't and that's the comfort factor. Frieze | Frieze carpets are often used in high traffic areas of the home as they are hardwearing and extremely resistant to spills, stains and vacuum markets. It is easily identified by it's strongly twisted, curly little fibres. Saxony | If you're after a luxury carpet that offers both comfort and style, then Saxony carpeting would make a wonderful choice. It's known for being extremely soft and is therefore often recommend for ues in bedrooms and living rooms, where 'cosy' is a real must. Shag | Popular in the 1960s and today for it's retro appeal, Shag is a carpet defined by it's long, rough pile. Shag carpets are fun and great for adding a little luxury to the home. Textured Carpet | The most common carpet type today is the textured carpet, which is often used in top traffic areas of the home. This carpet is great for hiding marks and stains, so particularly useful if your house is full of kids or pets! It's also a great choice for businesses like offices, hotels and other commercial buildings. Berber Carpet | Berber Carpet can be made from both natural and synthetic fibres. It is long-lasting, hardwearing and extremely resistant. Careful cleaning is required to preserve its longevity. Plush or Velvet Carpets | A real luxury, plush and velvet carpets are generally smooth to touch and known for being more of a show piece than practical carpeting. You must be extremely careful with plush rugs, as they are easily stained and permanently damaged. Perhaps not the best choice for a family home eh? Now you know a little more about the different carpet types available, here are a couple of questions you should consider in order to choose the best carpet for your home. Set a budget for carpeting your home and make the most of it by selecting the best carpet for each room. 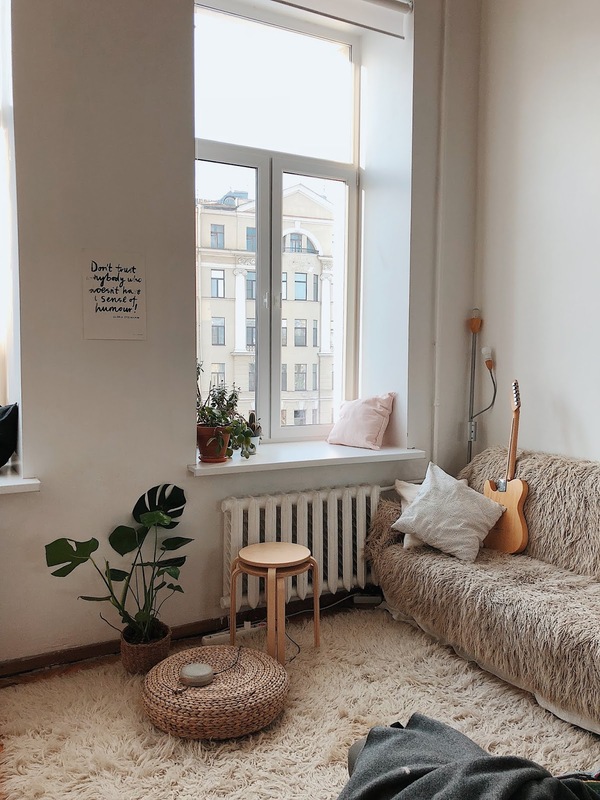 You may want to consider investing in higher quality, stain-resistant carpets for rooms like your living or dining room that get a lot of traffic and then cheaper alternatives for say, your spare room, which may only be used every so often. As well as considering the cost of the carpet, you also need to take installation and cleaning costs into account. Although flooring is often considered the more contemporary choice, if you have your heart set on carpet, you'll still be able to achieve a variety of looks through carefully selected colours and patterns. You'll need to think about the colours of the walls, whether or not you want the carpet to blend in or stand out and the overall look and feel you're hoping to achieve. Darker carpets are usually better for hiding stains but lighter and more natural carpets can enhance the size of a room; making it appear larger. Patterned carpets are great for those wanting to make a statement or alternatively you could opt for flooring and a statement rug, if you wanted the practicality of flooring but the comfort offered by carpet. 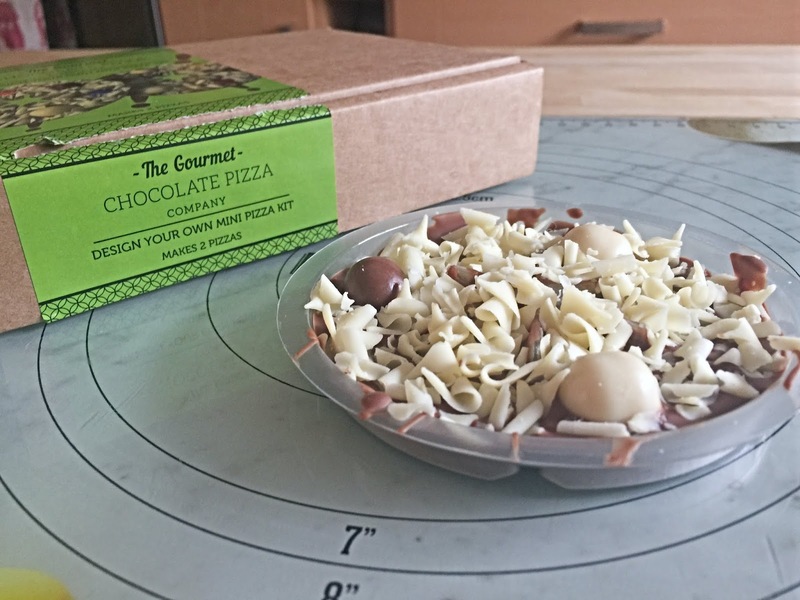 Always ask for samples to get a better idea of what you will be buying. Is carpet the right choice for your home? As a mum of a toddler, the idea of carpeting our future family house (when we buy one) does slightly concern me, as I feel flooring is a much safer and practical choice. Spillages can easily be mopped and dirt can be hoovered up quickly. However, knowing there are hardwearing carpet choices out there does put my mind at ease a little. I think you've just got to weigh up the pros and cons to decide what's best for your own home. Carpet or flooring? What's your preference for home improvement?